Made to fit your Carnival King DFC1800 and DFC4400 funnel cake / donut fryers, this Carnival King DFCGRATE bottom grate sits in the fryer above the heating element to protect it from damage and to prevent fried dough from clogging the drain hole. 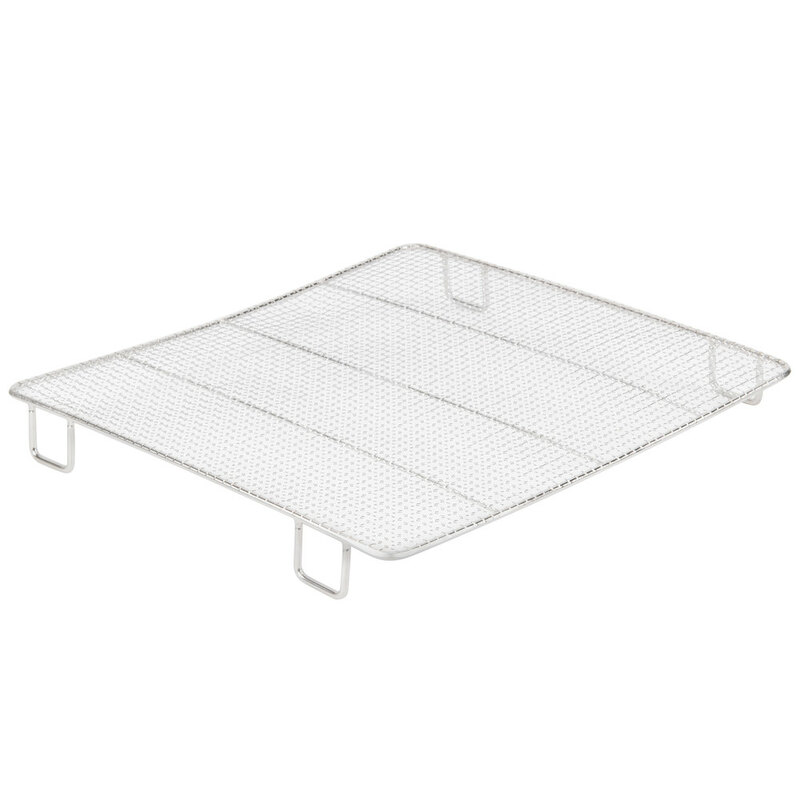 This bottom grate is made of nickel-plated steel, making it durable, and the woven construction is ideal for catching small pieces of dough. If your original bottom grate becomes damaged or is misplaced, simply replace it with this bottom grate to continue protecting your fryer's heating element and drain hole.